Today’s video tutorial features a simple yet elegant card. Its easy to create and makes a great note of any kind. Below you’ll find my video tutorial showing how to make 10 cards in 20 minutes. The Spring products used in today’s video will be available January 6th! If you have placed an order with me in the past 12 months you should have received both the Sale-a-bration and Spring Catalogs. If you didn’t receive them… let me know and I will send you another set. I sincerely appreciate your business. 1. 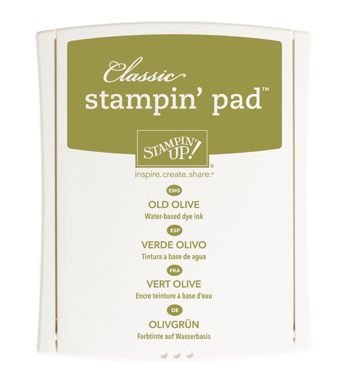 Stamp Your leafs with an Old Olive Stamp Pad. 2. Ink up your image and stamp it once, twice and a third time without re-inking the stamp. This creates various shades of Old Olive without having to use different stamp pads. 3. 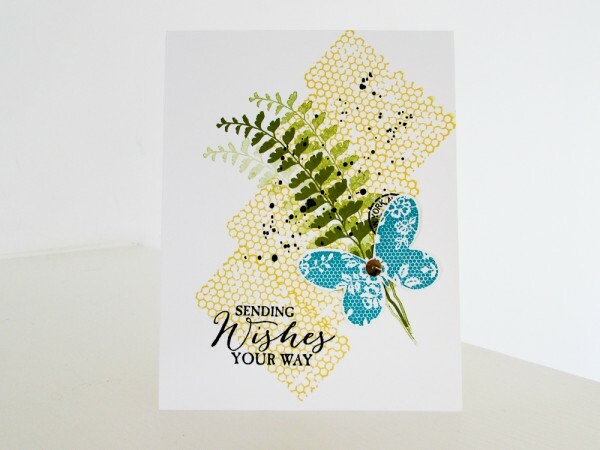 Ink up your image using a Daffodil Delight Stamp Pad and stamp your honey comb stamp diagonal down your card starting at the top right hand corner. 4. Ink up your little circle in Early Espresso Ink and stamp your circle in the grove between the leaf and the honeycomb image. 5. Ink up your Stampin’ Up! Gorgeous Grunge Stamp in Early Espresso Ink. Stamp your dots on top of your leaf and honey comb. 6. Stamp the greeting or sentiment of your choice in Early Espresso in the bottom left hand corner. 1. Stamp your Butterfly in Bermuda Bay. 2. Use the Stampin’ Up! Butterflies Thinlits Dies and a Big Shot to cut your Butterfly out. 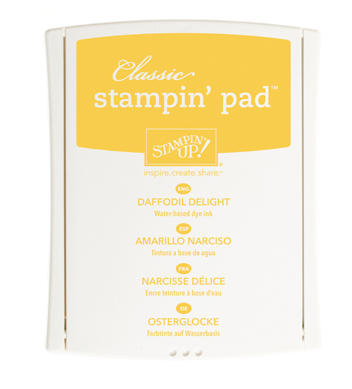 Tip: I recommend using a Stampin’ Up! Magnetic Platform when using Framelits. Click Here for more details. 3. Use a mini glue dot to add your butterfly to the top of your card. 4. Separate a few Gold Sequin Trim for the center of your butterfly. As always You’ve done it again, BEAUTIFUL cards in 20 minutes Love this one. Simple but elegant! Love, love all your cards. You always make it look so easy and so much fun. You explain things in a way that any one can make the cards and they will be beautiful too. Hi Brandy, I hope you are having a good day. My mom and I really enjoy watching your video tutorials on how to make cards. The cards you make are so cool!!! There is no way to pick a favorite, but I really enjoyed watching you make the peacock card and she did too. It was very nice of you to send us one of those as a thank you for our order. We both love butterflies so we love your butterfly basic card!!! What a great card. I love it! Thanks for the hot tip on using the Wood-Mount cases as a way to give a stack of cards as a gift. GENIUS! That way the cards stay safe and clean and the case can be decorated and wrapped up cute. Thank you Brandy!!! I love your site & thank you for the video’s you share. To really love the10 cards & the Hello Life you showed us! God surely has given you a gift & you are a blessing! I have bought the bundle, so I thank you for the card idea. Love the card and the gift packaging. Fabulous card…simple yet elegant! Thank you for sharing and giving me inspiration! I look forward to seeing more beautiful cards from you. I was curious, are these medium cards or note cards? Also, this is stamped directly onto the base card, correct? It isn’t a layer to be adhered to a base card, is it? Whatever it is, it is lovely and I am afraid I will have to CASE it. 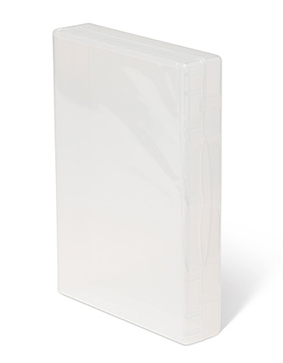 I’ve been wanting to make one of those plastic wood mount boxes filled with cards, now you have given me an idea for one. Thank you! I love watching your videos. This card is awesome and I love the 3 step stamping of the fern. I now have started my wish list for an order from your website. Hi Brandy, I re watched your video on butterfly basics. Love this technique so much! I contacted my stampin up consultant and she brought my catalogues to right away. I have an order ready and am planning to host a class. So many benefits I couldn’t resist… Love these new bundles. Thanks again for getting me motivated. may the New Year bring you and your family good health and much happiness. I love seeing all the things you make Brandy. You are so talented and showing how to do many cards in a short amount of time is a wonderful thing to show us all. This card, I particularly love; very beautiful. Look forward to seeing other things that you will be doing this year. Wishing you a Happy and Healthy New Year. Happy New Year! I love this card and your idea to give a set as a gift with separate messages to be included. Such a brilliant idea! I also love your ’10 in 20′ idea; that works for me. I really enjoy all your 10 cards in 20 min. videos. Your ideas are so great and your instructions are so easy to follow. Keep up the good work, you make my “wish list” grow everyday. Love watching the tutorials you make. Thank you so much for sending me one of the Butterfly cards. It is lovely. Happy New Year!! Love, love, love this card. What a great tutorial and a wonderful gift! Looking forward to other ways to use this “bundle” as it is on my “wish list” for sure. Absolutely love your cards. Your videos are so professional and your enthusiasm is contagious. Thanks for sharing. Love this card. Enjoy your videos very much. Thanks. You never cease to amaze me with all your wonderful talent!.. I am inspired everytime I turn my computer on. This card is awesome & I love the colors. Cute box idea. Really smart about placing different ways to say hello. Butterfly Set soon ……and make some to give as gifts…….Great Idea , regarding the sentiments. Hi Brandy. I love your set of cards. They are so fresh and clean. That stamp set is definitely on my wish list. Hope you have a Blessed year. Love watching you and your creative cards! Love watching your video’s especially your 10 in 20, the butterflies in this set look awesome. Gives me card making inspiration. This is such a beautiful and very clever card. I always love your video’s and ideas. We need thoughts of spring these days…looking at all the snow…so thank you for creating this and sharing. This stamp set does ROCK! And so do you Brandy. I absolutely love this card! Your placement of the stamped images and pop of the butterfly are beautiful! I wish I had this stamp set in my hands right NOW! Thank you for sharing your talent and enthusiasm. Been missing stamping with you my friend!!! I love this card … as usual 🙂 Thanks for sharing!!! Brandy, I love the card, you are a true inspiration! Absolutely beautiful card. I love your 10 in 20 idea. Thanks for sharing. Happy New Year Brandy! I love this card! The layout, the colors and the quick assembly are terrific!!! Can’t wait to get the catalog and see the set you were using and the butterfly framelit. Awesome. You make fabulous cards, but I especially like the 10 in 20 cards for many occasions. What a wonderful start to 2015 and I can’t wait to see all your “new” cards this year.. I love the card and the video! Another great 10 in 20! You’re the best! Your videos are so enjoyable. No hesitations and crisp and clear instructions. Have learned so very much watching them. I can’t wait to get the Butterfly Basics stamp bundle. These cards are so pretty. Brandy, thank you so much for all of your tutorials and card ideas. You are truly an inspiration! So quick , easy & elegant!! I follow you daily & love your tips & ideas. Great card and video! Loved it. Was on the fence as well about buying the bundle and thinking about just getting the thinlits, but now the BUNDLES back on! Brandy, I absolutely love this card. I have my sale-a-bration order started with the butterfly bundle already on it! You’ll be hearing from me soon! I look forward to another year of watching your creations. I just love your video and I now love this stamp set. It was not on my list but after seeing what a wonderful job you did with this stamp set I think it is a must have. You totally rock the 10 cards in 20 minutes. Thank you so very much for sharing. Beautiful card and I love the idea of including different sentiments as a gift package. I recently placed an order thru your name on the Stampin’ Up website and am anxiously awaiting it’s arrival. Brandy, I love your bubbly outgoing personality. You always do an outstanding demonstration. Love this card and set thank you for sharing. Love! Love! Love, this card, Brandy! I am excited to purchase the set and make my own. Thank you for your awesome tutorials. You inspire me! Can’t wait for the next one. Wonderful card! Great for any occasion. Brandy I love the new fern and butterfly set of stamps. Also the 10 lovely cards I made. That was a good idea to not put verses on all of them, because we may like a sympathy wording or Birthday . We in New Zealand get a lot of ideas from your web site your videos.Love from Pam Beets. Absolutely LOVE this card Brandy! You have done it again! Hi Brandy! I really enjoy your 10 in 20 videos, and this one is no exception. I especially like that this card is easily mailable, without extra cardstock layers, as most of my cards are delivered thay way. Cool gift-packaging idea, too. Beautiful card Brandy. I always enjoy watching your videos they are so fun, and I also learn so much from them. Thank you so much for the gorgeous card you have sent me. Love them all! Happy New Year’s Brandy. Absolutely beautiful card! I know I’ll be making some in the near future. What a cool idea to use the stamp case for a gift box. Thanks for sharing with us. I love all of your videos! What a lovely card and your personality is so fun, as always. Love the gift box idea! Love this card! I was on the fence whether to purchase this bundle. Being the enabler you are it is now on my must have list..LOL I get so much inspiration from your videos. Because you make sooooo many cards be sure to check out MISTI if you haven’t already. Have seen a few tuts where SU Demos have purchased one and love it. Thank you so much for sharing your talent. Love your cards and videos. I always look forward to receiving your emails. Thanks so much Brandy for your awesome inspiration???? I love your creative cards and so enjoy your bubbly presentation, I always have a smile on my face when I watch one of your videos. Hi Brandy, You make me smile and laugh out loud. Your joy for what you do shows. Most of all you are so creative, and your color choices are so wonderful. Thank you and may God bless you and your family and keep you all in His loving care. I love your video making cards, gets my juices flowing myself. Thank you for sharing with us all that you do. I love, love, love this card! I have to have this bundle!!! Thank you for sharing your videos – they are so inspiring! Can’t wait to get started on this card. I love your cards you make, always anxious to see one of your video’s. Love what you do. I look forward to them. Amazing! I am so excited for fresh (read so finished with holiday card making) card designs! Love the layering of stamps and the butterfies. Brandy, you always inspire me to think out of the box. This year, I stamped the envelopes for my Christmas cards. I thought the post office would have a fit but all my cards went through with no problem. This is a very beautiful card. Thanks for the inspiration. Really great butteerfly card and you made it seem so very easy in your video. Love the newsletter and await it to see what we are doing next. Happy New Year and may it be your best year yet. I love this card! I’m inspired! Thanks. Gotta go make a card! Once again this video was Absolutely awesome! But it makes me want to buy every thing I see. Thank you Brandy for always being so cheerful and welcoming. Love these cards and the packaging idea. Can’t wait for Tuesday to order, this will be the first set I order. Beautiful card. Can’t wait to try this stamp set out! Great idea in packaging them. Your videos are always the best! This fall I am having a family reunion and am looking for ideas for gifts…this is a great one…now I just have to get busy. Thank you – You are awesome! I get so excited every time you post a new “10 in 20” video! I have produced every card from every one of your videos. Thanks for yet another great one, as this stamp and framelits set is already on my list to get. Beautiful card and love the packaging idea for a gift. Thanks for your inspiration Brandy! Brandy you alway amaze me with your ideas for cards. This card is beautiful and I can’t wait to get my order in for those stamp sets. I especially love your 10in 20’s . Looking forward to more ideas. Agreeing with the previous comments; you inspire me as well. Love the designs and colors on your cards! I don’t have much to work with (living in the tiny country of Cyprus, where you can’t find much craft stuff), but trying as much as I can with the things I have. Blessings! Brandy, you are so inspiring to watch on your videos. You make me want to make cards all day long. the time to share with us out here in internet land. I was not going to purchase this set, but OMG, now I have to. Thank you so much for sharing, I love your videos and appreciate you sharing your talent with us. Love this butterfly card, Brandy! Simply elegant, versatile & very mail-friendly! I love the color combination – makes me anxious for Spring! Thanks for sharing your talent with all of us, you’re the best! I love, love, love this card using the Butterfly Basics stamp set. This is such a versatile set and I can see so many uses with it. Also, your gift packaging idea is great. Happy 2015! Hi Brandy, I so love this set, Tuesday will not be here soon enough. I am waiting for the clock to say it is time to place your order. So many good things in this catalog. Thank you for this awesome card tutorial. I love it! I love the color choices you used too! Thanks again for more great inspiration. Thanks for the great video. A really beautiful card. I have seen other videos showing the larger butterfly thinlits, but I have not seen the small butterfly used before. Loved your card. I received your card in the mail (this card) and went WOW! What a beautiful stamp set and what a beautiful way to use it. Thanks, Miss Brandy – keep doing what you do! In two more days I will be ordering (again)! Beautiful card. This is the card that has made me want to order my very first stamp set from Stampin Up. Thank you. I love your videos. I think this is my favorite because of the design and colors you use. This would be a perfect Mom’s Day gift. Good job!!! I love your video’s and i love the way that you wil share ‘t with us. Thank you. Groetjes Engelina, from the Netherlands. Enjoyed your video and will be making the card for sure. Thanks. I just love watching you make all your cards. I really like the 10 cards in 20 minutes. I plan on getting the Basic Butterfly set from my demo . 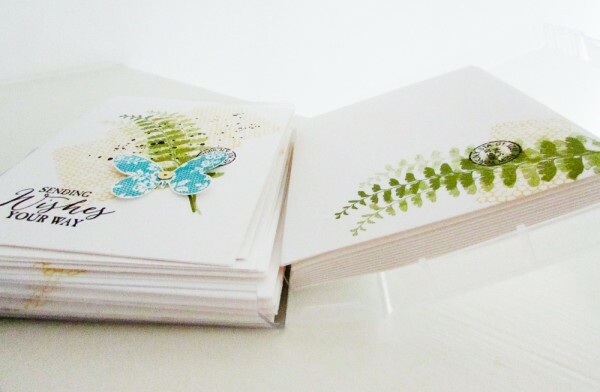 Like this butterfly card set. Enjoy your tutorials very much. Look forward to new ideas. Thanks so much. Love it! Really nice gift idea, and good simple assembly for new crafters. I always enjoy your videos, but this one hit the ball out of the park! Great job! Love this card! What a terrific idea to include different sentiments with a gift set. It is always difficult to decide what sentiment that would give the recipient the most use of their gift box of cards. This idea is a real winner. Thank you for the great idea and fun video. Love the set of cards, and the way you packaged them. Thanks for the great ideas!!! I absolutely LOVE this card, particularly for gift giving. My plan is to make ’em and stash ’em for gifts. Great for teachers, too! Love this card idea Brandy. Love how you use so many of the stamps in the set to make a beautiful background without a lot of layered card stock. Hope you have a wonderful New Year.